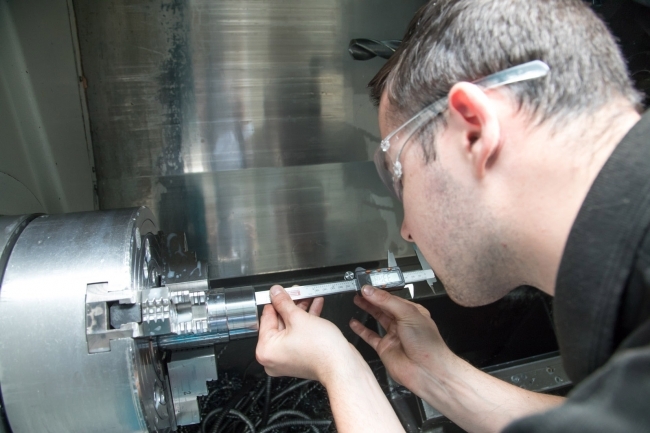 One of the UK’s leading manufacturers of non-standard fasteners has celebrated moving into its new home by securing a string of new contracts. Hague Fasteners, which has recently been awarded ISO9001:2015, is on course for a record year after winning £300,000 of work to supply specialist products to the oil and gas, petrochemical and growing construction sectors. The 25% surge in orders comes at a perfect time for the Black Country business after it completed a move to a larger factory in Willenhall, a move that more than triples its production capacity to 8,500 sq ft. Located on Monmer Close, the new premises has benefitted from significant investment on installing purpose built offices and conference rooms, new flooring in the workshop and creation of a dedicated inspection and despatch area. Hague Fasteners was formed in 1971 by the late John Hague (the father of the current MD) and has been manufacturing in the Black Country for more than four decades. The company produces specialist fasteners, headed bolts, studs, nuts and milled components in a wide range of high integrity materials and critical nickel alloys. It has built an enviable reputation for supplying products you can’t get off the shelf in small to medium batch quantities, from single prototypes through to 5, 10, 25 and 50 part runs. Claire continued: “We have a lot of repeat business as our customers like the level of service we provide and our ability to provide technical fasteners quickly, in sizes ranging from 3mm to 200mm in diameter. 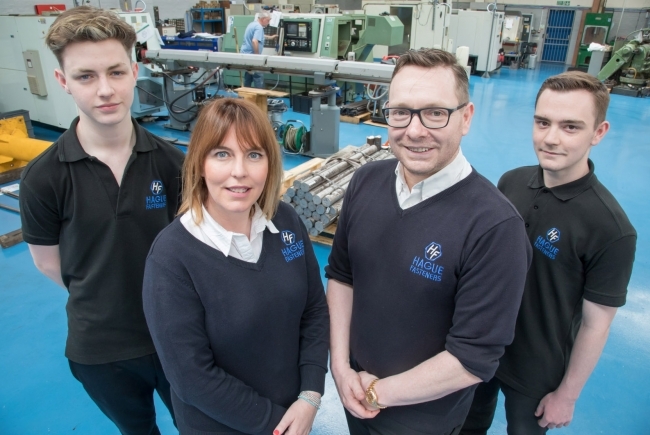 Hague Fasteners is proving a family affair with the couple’s two eldest sons now an important part of the business. Jack Hague (19) has been with the firm for two years, working in all parts of the company before settling into a technical/project planning role. He’s joined by his younger brother Tom (17), who is currently working in production scheduling and inspection. Jon concluded: “It’s a proud moment when you have your children working with you and we were delighted to make Jack a Director earlier this month…in fact it was on the same day that would have been my father’s 93rd birthday.